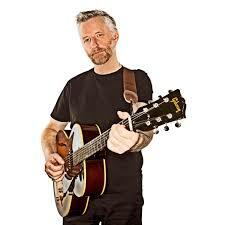 Billy Bragg is a singer, a songwriter and a musician. He is also a political activist. He plays the guitar and he is known for his folk-rock music. 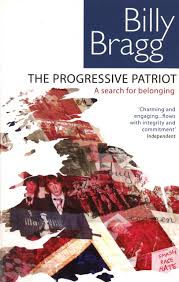 His full name is Stephen William Bragg. We also call him ‘The Bard of Barking’. He was born on 20th December 1957 in Barking, a little town in England. He is married to Juliet Bragg and they have a son named Jack. Billy Bragg wanted to get out of Barking because he knew that if did not, he would have a career at the car factory in Barking. He joined the band Riff Raff in 1977. A few years later, he decided to take a different direction and joined the British Army in 1981. However, he soon hated it and returned to his parents’ home. He then worked at a record store. While he was working, he wrote songs. He wrote lyrics about politics and love. He was inspired by Woody Guthrie and Bob Dylan. In 1983, Billy finally came back to the scene as a soloist. He had the opportunity to share his talent thanks to John Peel, a famous DJ in Britain, who played Billy’s record Life’s a Riot with Spy Vs Spy, that was Billy’s first radio play. A few months later, he began a British tour. He played whenever and wherever he could perform. He sang one of Bob Dylan’s song and criticised Donald Trump, saying that “Martin Luther King is spitting in his grave”, according to the Rolling Stone website. In 1987, he made a compilation of his three releases named Back to Basics, which was a great success, according to the AllMusic review. 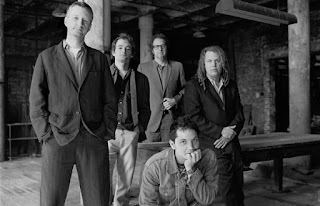 The songs demonstrate themes like critical commentary on Thatcherite Britain. 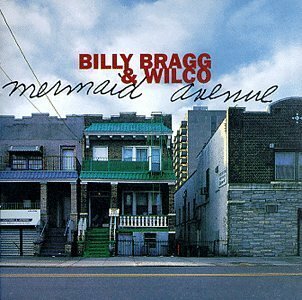 In 1990, Nora Guthrie, the daughter of Woody Guthrie, the American singer who has always been one of his sources of inspiration, contacted Billy and she asked him to collaborate with an American band called Wilco. He accepted and sang the songs written by Woody before his death. 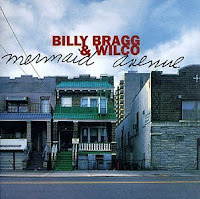 They released an album called Mermaid Avenue and it is a part of the 1001 albums that you have to listen at least once in your life, according to Billboard. He achieved considerable success with them. It is important to mention that Billy supports many humanitarian causes because it means so much to him. He was a member of Red Wedge; a socialist musician collective of which Paul Weller and Tom Robinson were members too. The musicians wanted to help people to engage with politics, especially the young. During the 1987 general election, they particularly wanted to convince people to vote and expel the Conservative government led by Margaret Thatcher. He is not in favour of the British National Party, the Labour Party and the Brexit. Billy militates against racism, homophobia, sexism and many more such intolerant beliefs and ideologies. 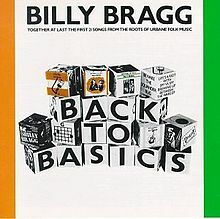 You can find below one of Billy Bragg's political songs called "There is power in a union"
Billy Bragg travelled a lot and Mr Bragg goes to Moscow is a documentary about his trips to the Soviet Union when he made a series of concerts in Tallinn, Estonia and Moscow. Here you can see the first part of his documentary. Billy Bragg is very interested in the notion of English identity. In 2006, his book The Progressive Patriot came out. In it, he talks about what patriotism means to him and replies to the events of 7th July 2005, when four bombs exploded in London, killing 52 people and injuring many more. In October 2011, he released Fight Songs, a compilation of political songs that he had uploaded on his website as free downloads. In September 2016, his album Shine a Light was released. Billy made the album with the American songwriter and producer Joe Henry. They began a tour in September 2016 in the USA. They continued in the UK in November and January. The tour ended in April 2017 in Australia. Click here to have a look at their website. You can also see Billy Bragg's website here. By Catherine Gillain, Mathilde Clamot and Melike Yörük.